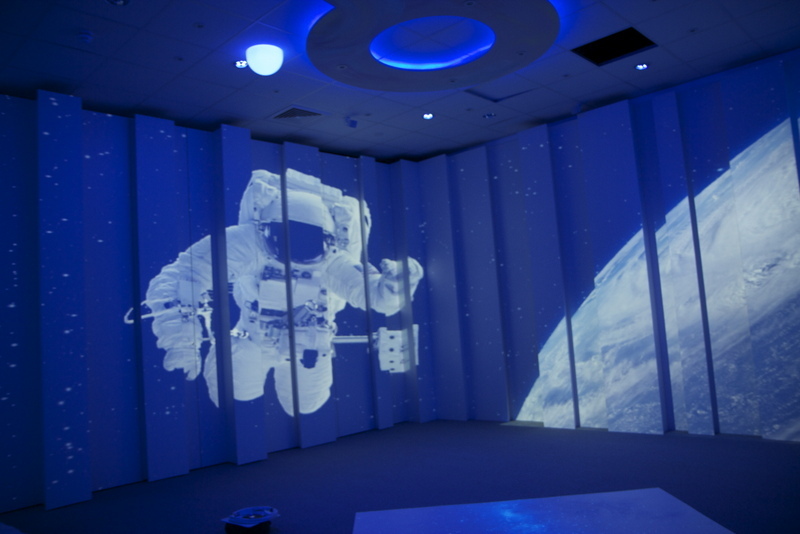 We were recently showing some guests the finished immersive space at Four Oaks Primary. Halfway through our session a group of pensioners from the local community centre popped their head in during a tour of the new school. Gav decided to give them a full demonstration of the space to see what they thought. It was great to see their reactions and to begin to see how the group could use the room. One idea was for reminiscence pieces to transport the group anywhere and at any time. We also saw that the space got our guests up and dancing (as per the picture above!). This would be fantastic for exercise work for the group. Everybody also agreed that our spaces are perfect for relaxation, people of all ages love our aquarium and beach themes! Previous PostPrevious Croxteth Primary Official Opening.